While some motorhomes are built for off-road use, the one shown in this video clearly isn’t. The unidentified vehicle was reportedly purchased for $5 and the new owner then paid another $5 to enter it into the Tough Trucks contest at Lebanon Area Fair in Lebanon, Pennsylvania. While some motorhomes are built for off-road use, the one shown in this video clearly isn’t. 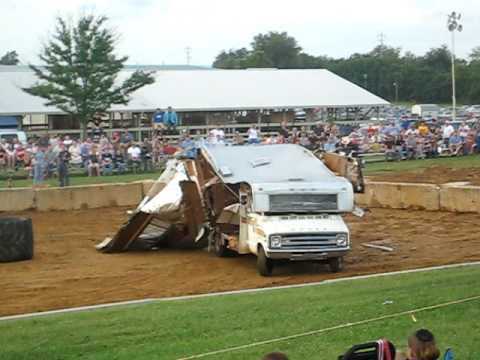 The unidentified vehicle was reportedly purchased for $5 and the new owner then paid another $5 to enter it into the Tough Trucks contest at Lebanon Area Fair in Lebanon, Pennsylvania.